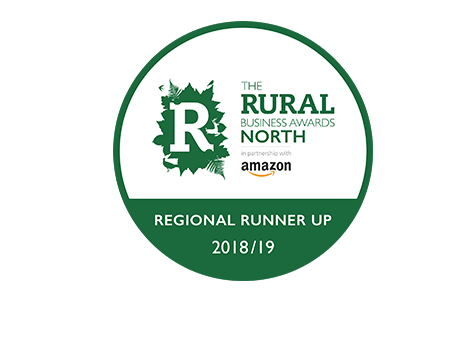 We’re straight-talking, down-to-earth countryside folk who are passionate about bringing our marketing experience and skills to the rural sector. Some say it isn’t as ‘cutting-edge’ or ‘on-trend’ as other industries. But they’re wrong, because we know it’s exciting, inspirational, and has so much to offer. It’s why we absolutely love it, and why we love working with all those incredible businesses out there who are just ready to thrive. We’re experienced marketers, expert at all things digital. We’re experienced at growing businesses, committed to helping local companies achieve the results they deserve. And we’re experienced farmers, living and breathing the country lifestyle. From family businesses to multi-national companies – we just want to share our knowledge and help you succeed. Only working with businesses who are as passionate as we are, we build bespoke project teams to help you get what you need, at the right time for you. We can help with anything – from starting a new business, diversifying an existing business to growing an a established business. We grab a brew together and get to the bottom of the challenges you’re facing. We get to know your business inside and out. And then we put together a bespoke, focused marketing strategy to achieve the results you want. Marketing is just one small part of your business. We know the rural sector through and through. We get your audience. We know how to help you grow in your industry. Our business planning sets you on the right path to bigger things. With a plan made and a strategy in place, we’re on-hand to help you make it happen, every step of the way! With expertise across all areas of online marketing, our team can help you compete, stand out and succeed in a digital world. Hillsgreen don’t just understand agriculture and the relevant target audiences, but they have years of experience of working in agriculture. This made it an easy decision when deciding to appoint an external consultancy to assist us with our centre’s marketing strategy and planning. Hillsgreen’s help and advice has taken my business to a different level altogether. Andy really listens to you when you are explaining your vision for the business and puts his professional skills to work help you create just that. I would highly recommend Hillsgreen Marketing Consultants. Hillsgreen helped give our business a online presence with a new website. This has helped to not only drive new customers to Millward and Keeling, but also save time for existing customers. They no longer have to always visit the workshop, instead they are able to view our products online and make decisions quicker. Hillgreen designed our website which we are very pleased with, the reason we chose Hillsgreen was because they listened to what we required and designed the website around our requirements, whereas other website designers we interviewed just wanted us to accept their ideas.